Michael Franti will help usher in the summer sun a little early this year with the simultaneous release of two singles from his forthcoming new CD, The Sound of Sunshine, slated for release later this summer. Released to radio on May 20th, the single, “Shake It”, hit the Top 40 and Hot AC radio formats, while the single and title track, “The Sound of Sunshine,” went to AAA and is already the #2 most added. "Shake It" will be released digitally on May 25th with "The Sound of Sunshine" following two weeks later on June 8th. 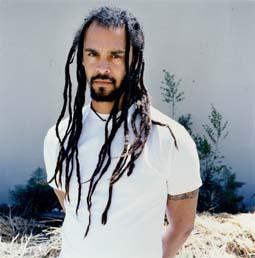 Michael Franti is the creator and lead singer of Michael Franti & Spearhead. For over two decades, The Bay Area born Franti has been bringing our world exceptionally powerful, deeply felt music. Franti first formed the punk band The Beatnigs while studying at the University of San Francisco, and later the far more hip hop-inflected The Disposable Heroes of Hiphoprisy. In the mid-Nineties, Franti created Spearhead, and increasingly in recent years, he’s found his own voice musically and his own organic brand of popular success. Franti’s impressive series of recordings have vividly reflected his status as a musical citizen of the world.